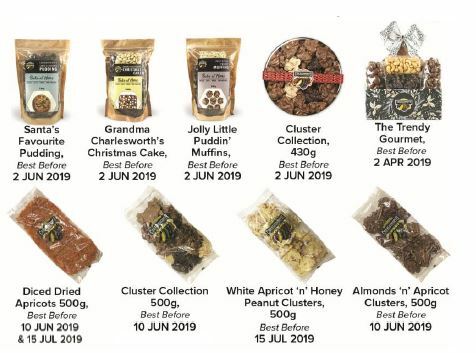 The products have been available for sale nationally through Charlesworth Nuts online store, and for sale at Charlesworth Nuts retail stores, independent retailers, wineries and cafes in South Australia and Victoria. Problem: The recall is due to the presence of foreign matter (metal fragments). Food safety hazard: Food products containing metal fragments may cause injury if consumed. What to do: Consumers should not eat these products and should return the products to the place of purchase for a full refund.